As the name suggests, the film revolves around baking and my favorite food, bread. While it captured Taiwan’s rural beauty and charm and the music is quirky (the old men singing in Taiwanese is amusing), I was overall unimpressed. The macro shots of the bread were breathtaking, but they could not save the film from my looming disappointment. I felt no connection with any of the characters sans Gao-Bing, played by Han Dian Chen, possibly due to subpar acting and/or weak writing. His character development was another redeeming quality of the film. If any of you watched the anime Space Brothers, You may understand me when I say Gao-Bing reminds me of Mutta, especially in scenes where food has enraptured him. The plot made me want to turn off the DVD player. 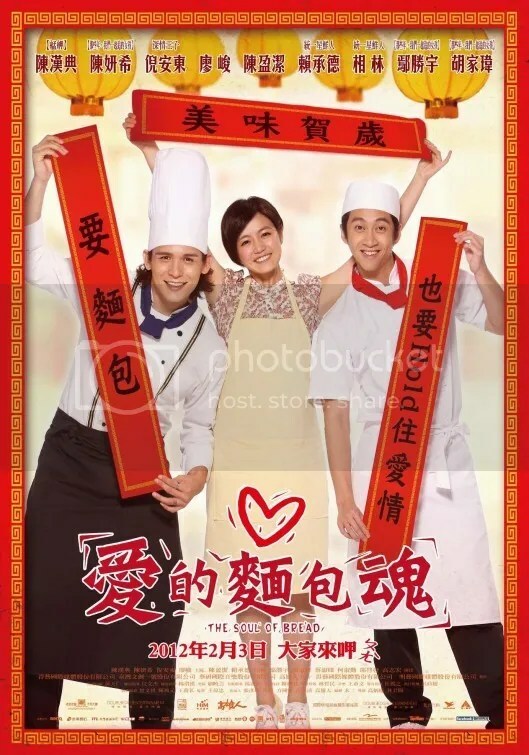 It was dreadfully predictable and the characters’ chemistry felt forced, especially between Bread (Anthony Neely) and Ping (Michelle Chen). I expected more baking competitions and more gorgeous shots of Taiwanese baked goods. Maybe if I was eating some pineapple buns, I would have enjoyed the film more. Maybe that might help if you plan to watch the film. The Bread of Soul is not my cup of tea—or slice of bread (ha ha, bad joke)—but maybe you might enjoy it… just watch the film with very, and I mean very, low expectations.